The most well-known rat species are the black rat (Rattus rattus) and the brown rat (rattus norvegicus.) Rats are bigger than most of their relatives, the old world mice, but seldom weigh more than 500 grams in the wild. 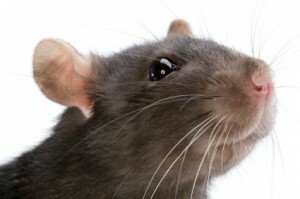 The common term “rat” is also used in the names of other small mammals which are not true rats. The brown rat is a true omnivore and will consume almost anything, but cereals form a substantial part of the diet. They are usually active at night and are good swimmers, both on the surface and underwater, but (unlike the related black rat) are poor climbers. They dig well, and often excavate extensive burrow systems. Rats live wherever people live. Brown rats in cities tend not to wander extensively, often staying within 65 feet of their nest if a suitable concentrated food supply is available. They will range more widely where food availability is lower. Pest Solutions 365 can determine the size of mice infestation and pest control needs of your home with a professional pest audit. Only $25 for a 20-minute inspection. Put all pet food, bird seed and grass seed in tightly sealed plastic containers. Inspect your home for air conditioner and gas line gaps. Seal these gaps tightly. The fewer the entry points for rodents, the fewer you will have in your home. Remove clutter from your garage, basement, or shed. Rats do not like to be seen. The more clutter, the more comfortable rodents feel. Pick up pet droppings every day. Secure floor drains to keep rats from entering through sewers. If you have bird feeders, stop feeding if you have rats or other rodents, or use rat-proof bird feeders. Don’t put bird food on the ground.